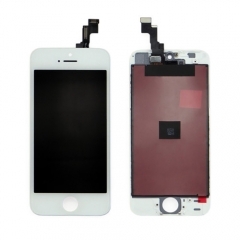 · This LCD Digitizer Replacement includes the components as mentioned above, it does not include the small parts. Please do not confuse it with the iPhone LCD Assembly with Small Parts. It was well made Iphone screen, it came with the adhesive and easy to installed. I do recommend this item, cause I put some pressure on the screen and didn't crack.